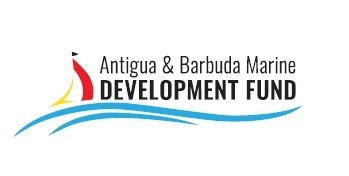 A number of businesses have agreed to come together to form the Antigua and Barbuda Marine Development Fund (MDF). The purpose of the MDF is to build funds which will be used to contribute to, support and enhance our industry and the environment in which it operates. • Antigua and Barbuda Search and Rescue (ABSAR) – Critical funds are need to support the volunteer unit ABSAR in its ongoing day to day operations / emergency medical response to ensure it can continue to provide the essential services so important to both our visitors and many of our residents but also in its Marine Search and Rescue. • The Antigua and Barbuda Marine Association (ABMA) – The funds will be utilised in the protection of our marine environmen and improvements and enhancements in the product. Funds raised will be used to support these two initiatives and thus result in improvements for all involved in the industry whether as residents in Antigua, businesses or visitors to Antigua. Funds will also be used to support other one off initiatives that will aid development of the industry whether it be human resources or physical resources and infrastructure. Businesses whether members of the ABMA or not, can chose to opt into the fund. Depending on the sector the business is in, the business will then add a fee to its bill to all consumers. This is a totally voluntary contribution and if the customer should choose to decline, the charge will be immediately removed from their bill. All money collected will be paid into the MDF on a monthly basis. The funds collected by participating businesses will be paid into a separate MDF bank account to be administered by the ABMA and fully audited on an annual basis. The funds will be distributed equally between ABSAR and the ABMA. If your business is interested in being a part of the fund or if anyone has any questions about the fund please email marketing@abma.ag.